Niraamaya Retreats (Earlier known as Surya Samudra Beach Resort) began in 1980s as a single octagonal stone house thirty miles from the tip of India and just a few minutes from the historic Vizhinjam harbour (pronounced as Virinyam) near Kovalam (Kerala, India). 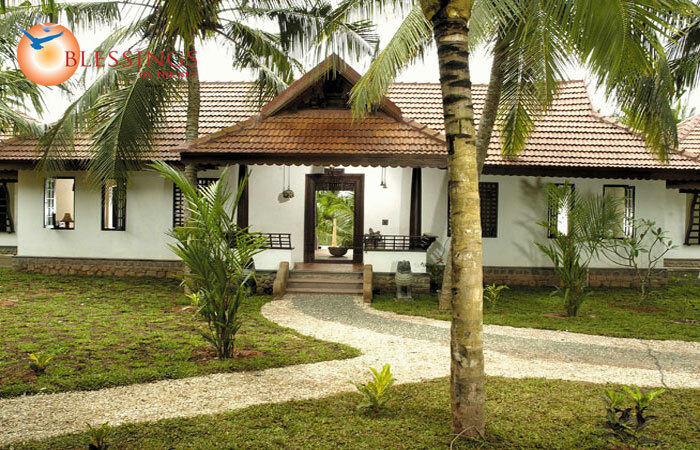 Location: Niraamaya Retreats Kovalam is just 5 kms from Vizhinjam Harbour. 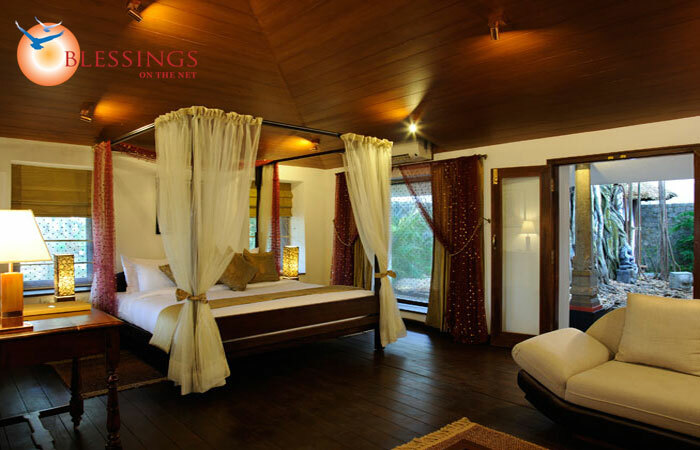 The resort provides 32 guest rooms categorized as Heritage-Premium, Heritage-Superior, Heritage-Classic, Rock Garden-Classic, Rock Garden-Premium and Banyan Tree Bungalow. 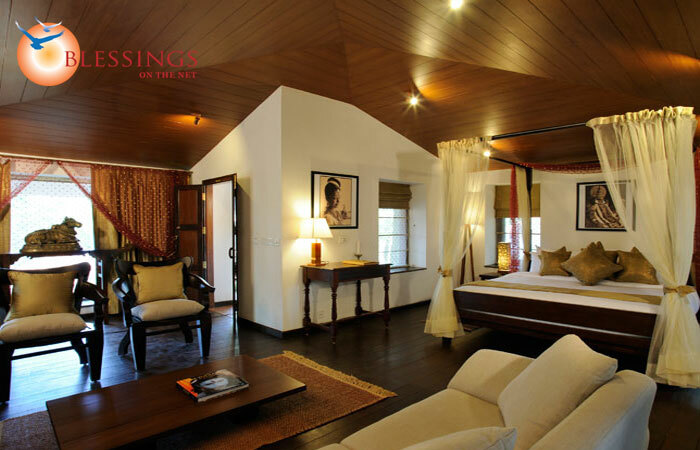 All rooms are wonderfully decorated and well-equipped with modern amenities. Oottupura: A fine restaurant serving delicious food round the clock. Kanal: A grill specialty restaurant, offering barbeque delicacies. Madira: A poolside bar, to enjoy world-class spirits and snacks. The package includes breakfast, lunch & dinner on fixed menu basis at Cafe Samasara. Two way Airport / Railway Station Transfer. Fruit basket, cookies and chocolates in room on arrival. Half Day Sight Seeing trip to Trivandrum once during the stay. One hour Ayurveda full body massage for couple once during the stay. 15 min. foot ritual spa treatment on arrival day. Complimentary consultation by in-house doctor for rejuvenation and relaxation. Usage of Jacuzzi with a prior appointment. One group yoga session during your stay between 07:00 to 08:00 Hrs. Wireless internet access to across the resort and in your guest room as well.